1. 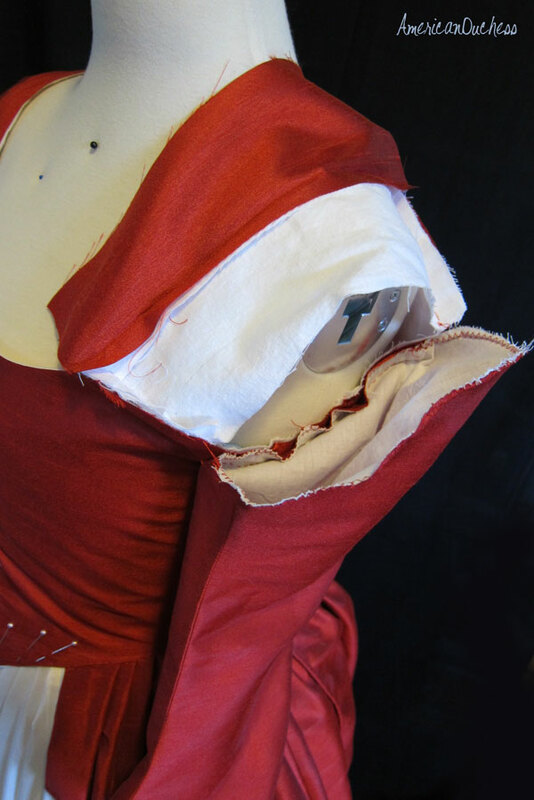 Start with the sleeves sewn on to the bottom of the armscyes. I put right sides together and hand-sewed using a back stitch (for strength). I attached the whole bottom half. Don't worry about the raw edges in the lining. Zig-zag or overcast prior, though, if you want to keep things more clean. Top of the shoulder is free. Strap is pulled back, but lining strap is still in place. So now the whole top half, over the shoulder cap, is still free. You'll see I've got the lining strap in place, but the red fabric strap is pulled back. This is because you're going to attach the sleeve head to the lining, then cover it with you fashion fabric strap. 2. 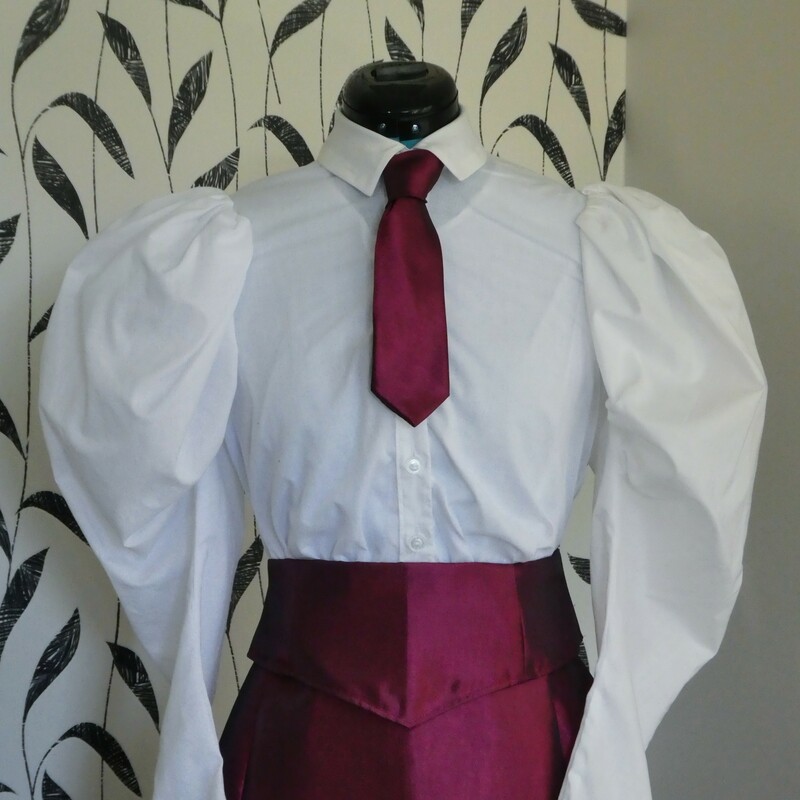 Fit the sleeve head over the shoulder. This takes some fenagling. It's like "sculpting." Don't worry about raw edges at this point; you're going to cover them. Easier said that done. If you have a friend handy, ask her to help you fit the sleeve over your own shoulder. 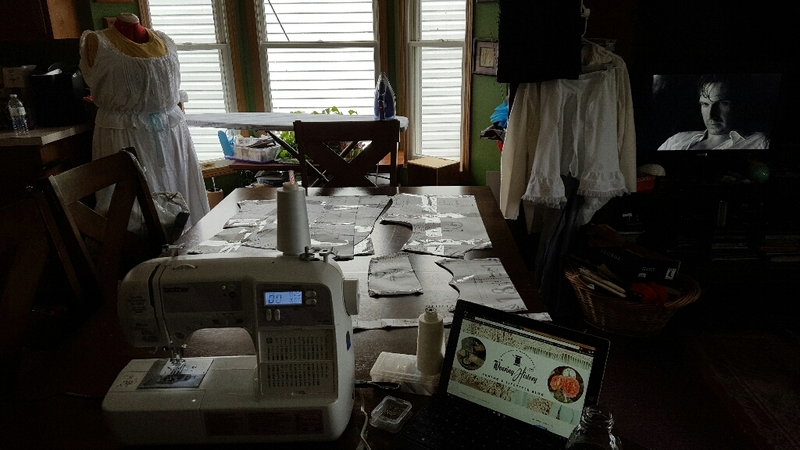 I know a lot of us sew alone, so in this case, be liberal with the ease of the sleeve - you don't want it too tight, or else it will not only be uncomfortable, but it will pull the neckline of the gown up. I got a dress form with arms for this exact reason, and it really helped. If your dress form does not have arms, consider making some "duct tape" arms to attach. 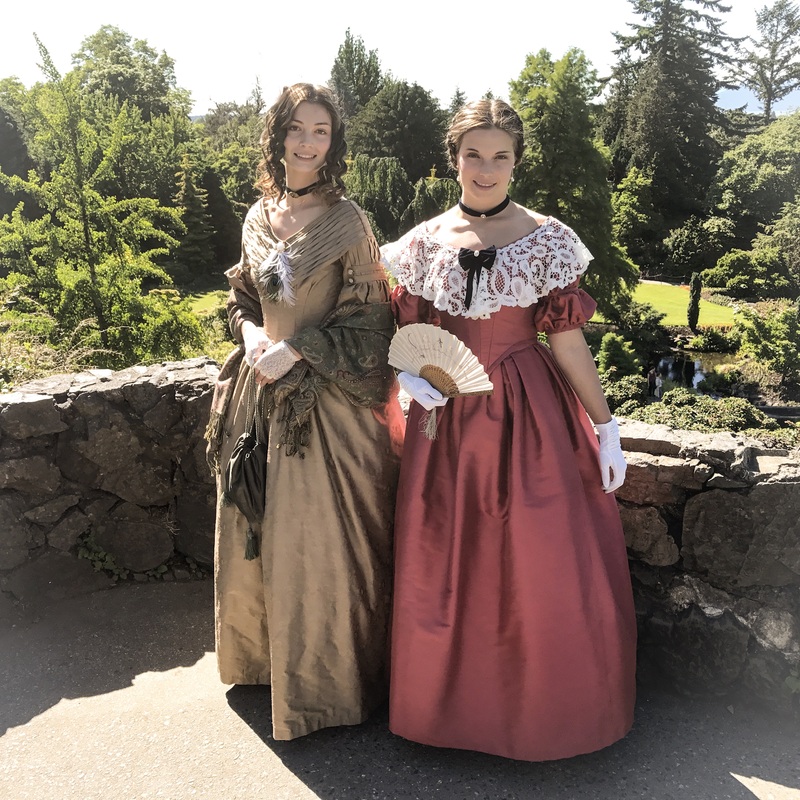 I had a little more volume in the top curve of the sleeve that would fit the armscye of this gown exactly, so I put one tuck in at the top of the shoulder. Arrange any extra volume however you like, in small pleats, or tucks. 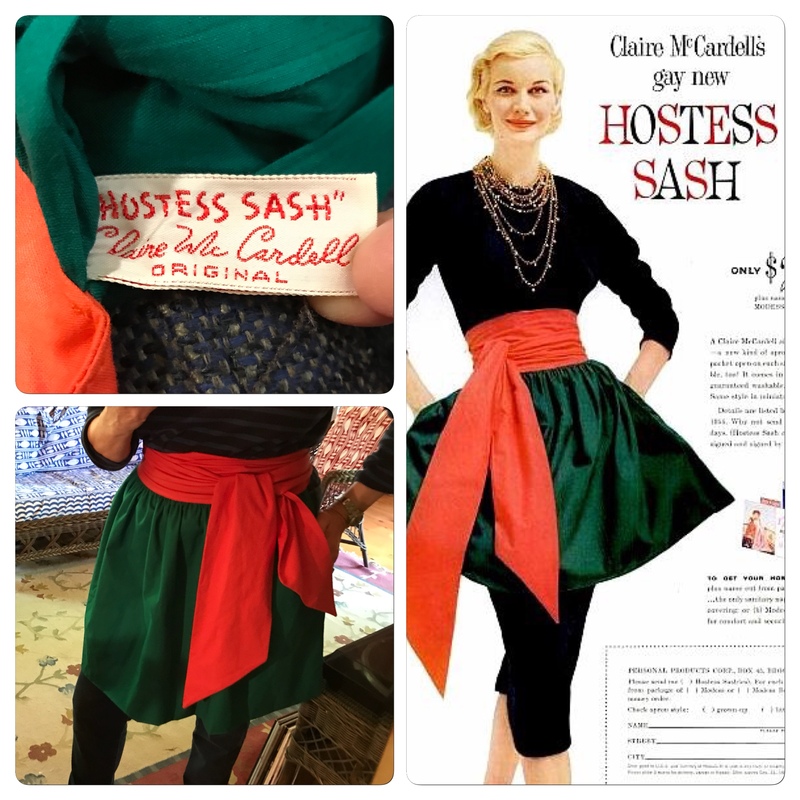 When it's all tucked and pleated into the right position, sew it to the lining - a running stitch or a back stitch works fine. 3.Now you're going to take the fashion fabric strap and apply it to the top, to cover the raw edges. Fold the edges of the strap under and top stitch - yep, I said top stitch - in place, using a small running stitch, or a back stitch if you want more strength. Fold under the edges and top-stitch in place. There you have it! 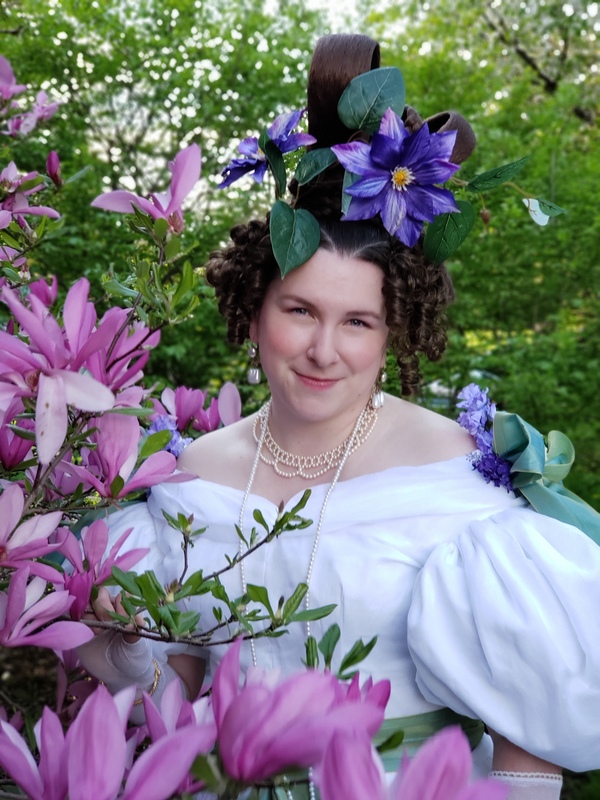 I didn't do a particularly bang-up job on my first try, but my whole neck edge and shoulders are covered in a wide lace collar, so ironically none of this is even seen. I can tell you it takes practice, and if I manage to rip my sleeves out of their sockets this weekend, I will tell you! Also, those of you who have more experience with this, please chime in with any tips and tricks, or corrections ('cuz I'm sure I got something wrong). This is the other sleeve, but you can see the finish. Thank you for posting this. I've been wondering how to do this correctly for a long time, and now I know! I actually think this method simplifies things. I recently had the chance to get a closer look at an early regency dress in a museum and was amazed at how simple the sleeve was set in! 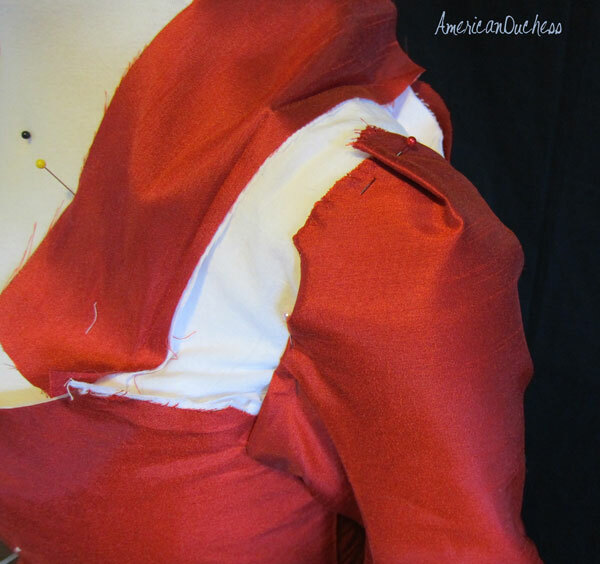 The sleeve cap was just whip gathered and then sewn on top of the outer fabric all around the armhole - voila! You did a great job for a first timer, it is the hardest part of the gown and the most important for fit. On original gowns, the shoulders strap is attached to the fashion fabric of the bodice front (left free on bodice back) prior to sewing the armseye seam and the armseye seam continues from under the arm up the shoulder strap for two or three inches, then the seam allowance of the rest of the shoulder strap is folded in and sewn down from the top as you did. It makes for a nice transition. Very great job for a first time indeed! It will get easier and easier each time. The dressmaker could nearly finish the dress and do the sleeve pleating/setting during the final fitting on the customer. 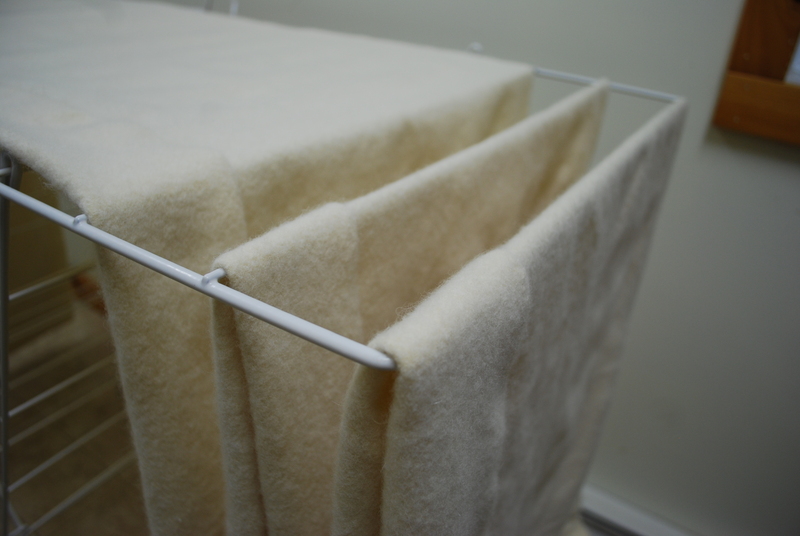 This made for a perfect couture fit without any basting/resewing etc. 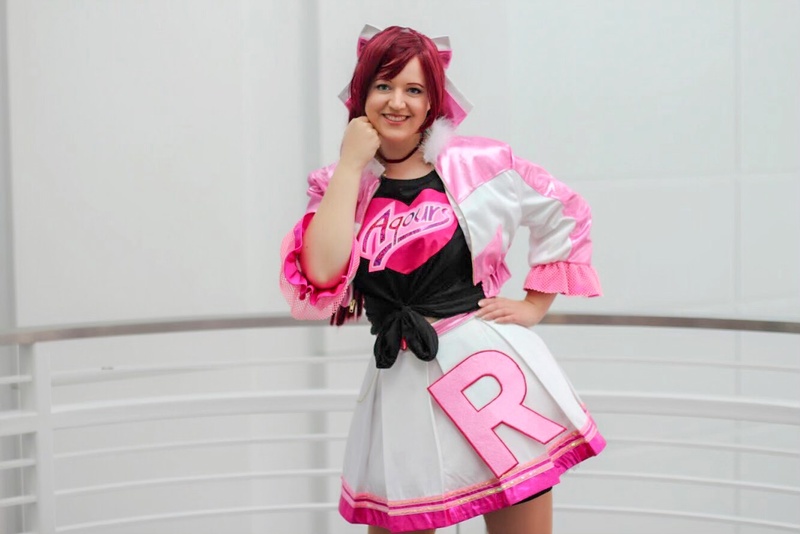 Question about the pleated ruffles you have around the bottom of the sleeves - Are these single pieces of fabric pleated with the edges turned under or pinked or finished somehow OR are they double pieces of fabric sewed together like a tube, ironed flat and then pleated? That was so interesting! Thank you so much! My 5th grader has "Patriot Day" at school in February. They have to come to school in 1770's attire. They must speak, act and play just as if they were living in the 1770's. They are getting graded on this. Although they are not required to have a dress made, I'm a stickler for accuracy. 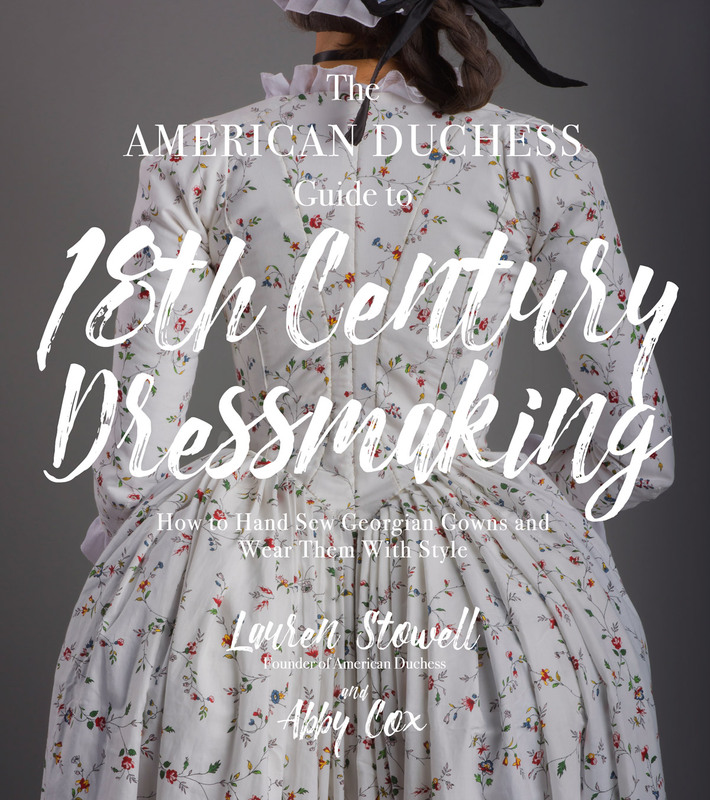 I've been researching dress patterns and fabrics that would have been available in this era. Thank you so much for keeping this information posted. VERY HELPFUL! Two years later and this post is still extremely helpful. 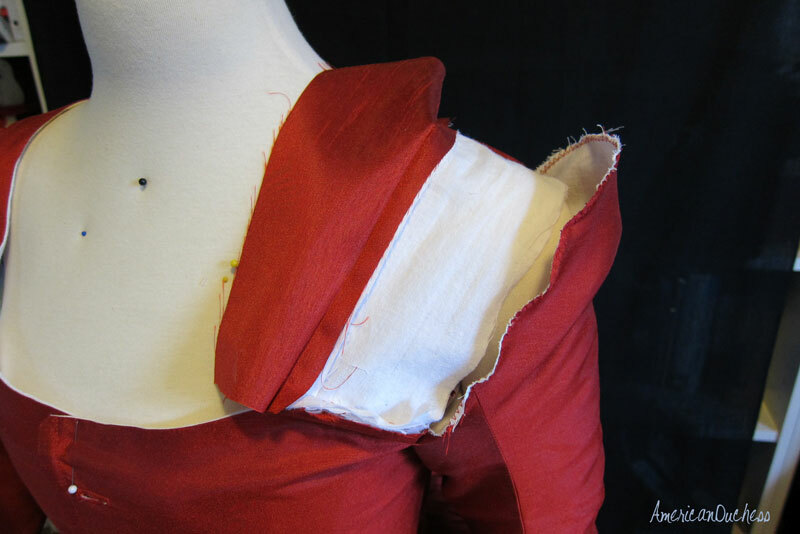 You helped me set my own first 18th century sleeves. Thank you! 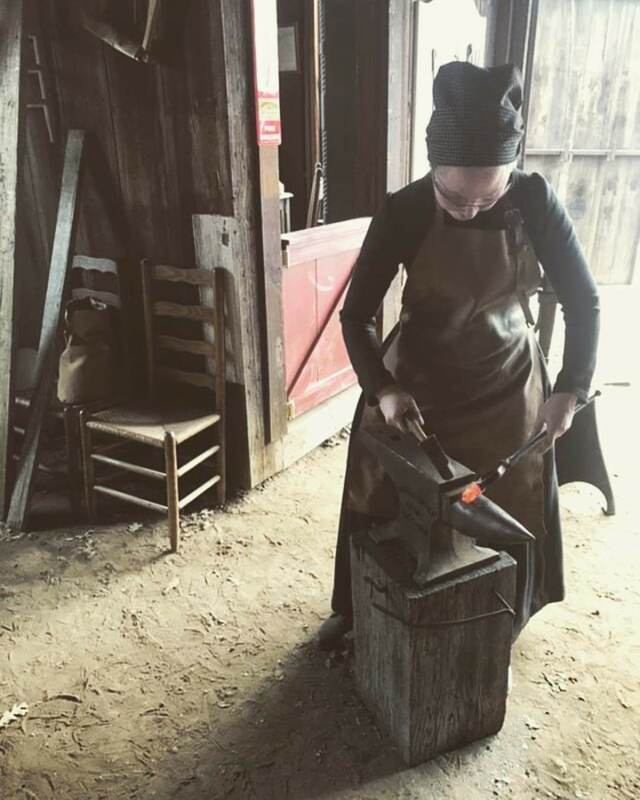 is the technique the same for 18th century men's clothes, or are the sleeves fit differently? Check your grammar. Some errors make the information hard to understand. Your posts amaze me! I have one question though: Do you put boning in the bodice of this gown? As I have researched several gowns, it seems as though the only boning you find, are in the stays! Please enlighten me as I'm slowly loosing my mind how to proceed with my gown! Thanks again for all your valuable information! Thank you! 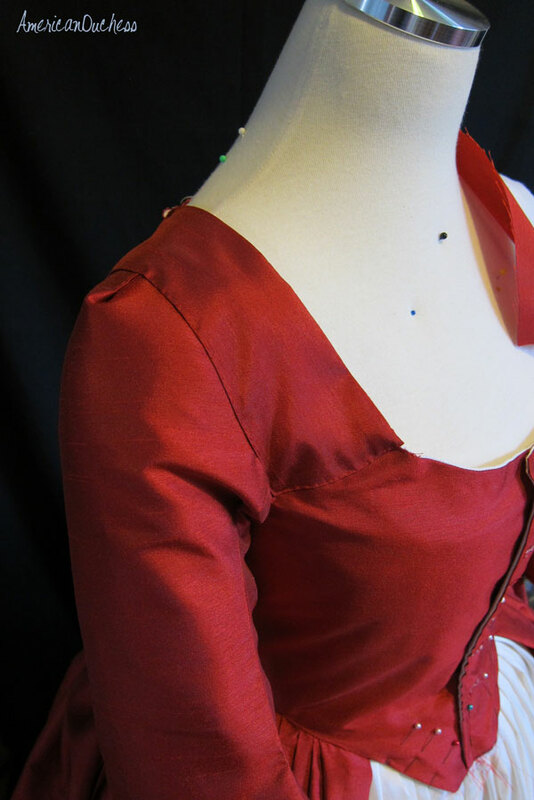 Typically there is almost no boning in an 18th c. bodice. You might see it at the center back seam, especially if there is a deep point at the waist. Otherwise there is no boning on the seams. 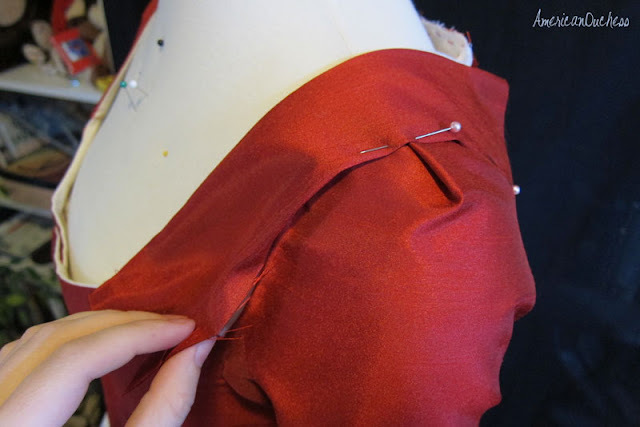 For costuming sake, if you are using a button, lacing, or hook-and-eye closure on the front, you might want to put very light bones just on those front edges to help keep them straight.